The first ERL Smart CIty RObotic Challenge (the SciRoc challenge) will be held in Milton Keynes (UK) from September 16th to September 22nd, 2019. The challenge is focused on smart shopping and will be divided into a series of episodes, each consisting in a task to be performed through addressing specific research challenges. 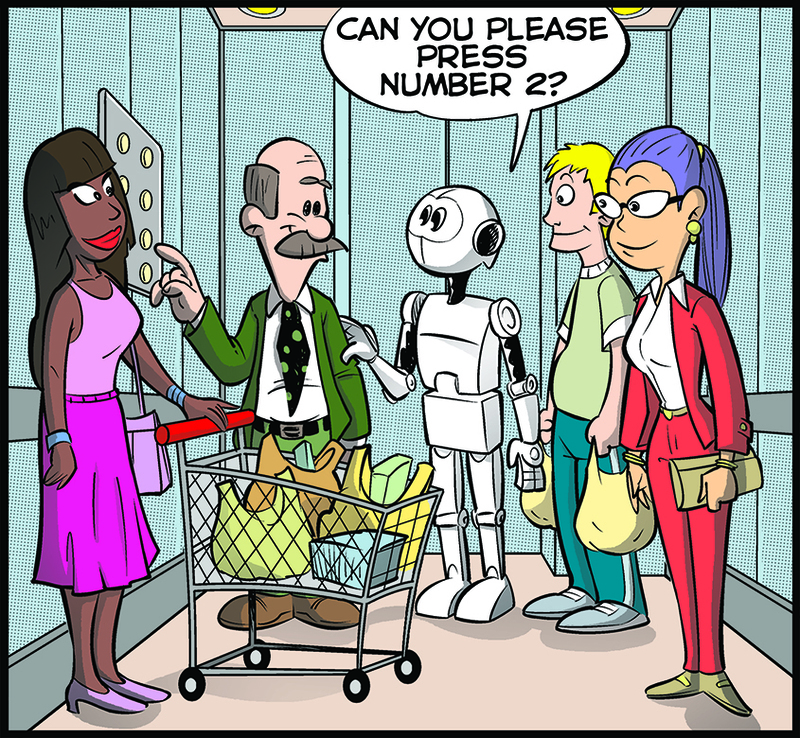 During each episode, robots will have to cooperate continuously with the digital infrastructure of the smart shopping mall (the centre:MK) in order to accomplish their tasks. Teams are expected to participate in one or more episodes according to their research interests. For more details, click here. After the successful sponsorship of the ERL-SR for the 2017/18 season, which accomplished the main goal to enlarge the number of participating teams and increase the competitiveness, PAL Robotics is glad to open a new call for loan of TIAGo Steel and Iron robots for the new SciRoc challenge. The paid rental fees can be discounted from the sales price in order to keep the ownership of the robot at the end of the rental. Teams executing this option before the end of 2019 will also benefit from an additional 5% discount on the price of the robot, which is €49,900 for TIAGo Steel and €30,950 for TIAGo Iron. BREAKING NEWS The company will supply one of the TIAGo Steel and one of the TIAGo Iron for free to those teams showing outstanding expertise and innovation in their application. Deadline for applications is 20:00 CET on 1st February 2019 has been extended! You can apply until Friday, February 15th 2019 at 20:00 CET. 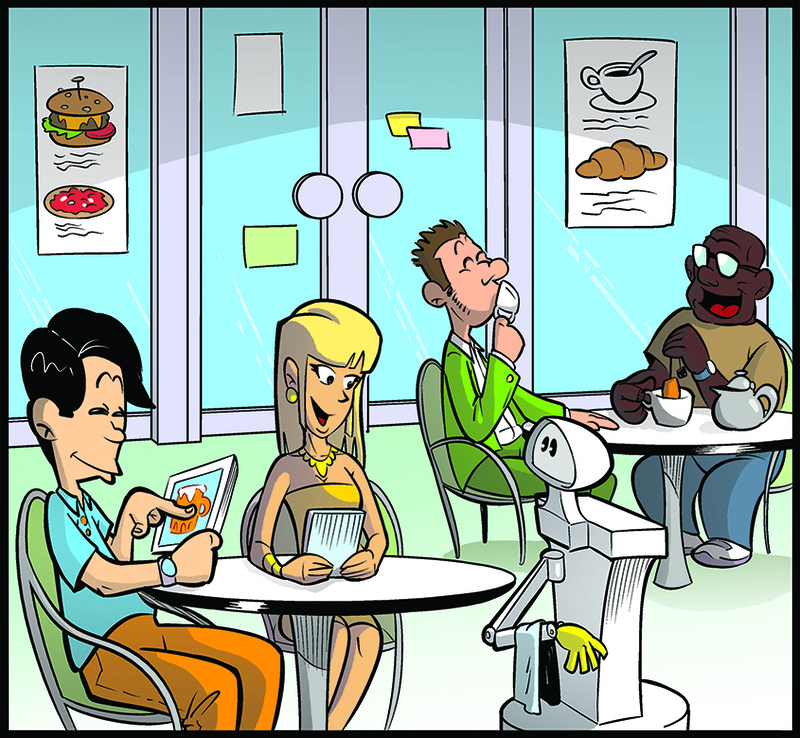 Teams will be able to apply two both TIAGo robot types, although eventually they can only be awarded with one of them. Teams, of up to 10, may comprise of any combination of students, academics, industrial or public sector members. Students may be undergraduate or postgraduate students. Interdisciplinary teams are encouraged. Teams must be based in the European Union. PAL Robotics encourages teams with previous experience in robotics to apply. The teams will have to prove their potential in autonomous navigation and control. Applications will be evaluated by SciRoc consortium and PAL Robotics. Applications must be sent electronically, with documents printable on A4 paper, with margins of at least 25 mm on all sides and 10 point font or larger. PDFs are preferred. Contact details for the team leader. University teams must also supply contact details for an academic supervisor. A one-page executive summary of the application. The team’s motivations behind their application. One-page CVs of the team members. A detailed description of the team’s specialisms and expertise, as well as past research and other achievements (limited to two pages). Videos of past achievements (with real robots or simulators). List of target episodes of the SciRoc challenge (the more episodes the more potential value the application will have). Detailed descriptions of how the teams plan to use the TIAGo to fulfill the tasks in each selected episode. Teams might be requested further documentation in case of need. The chosen teams will be announced by PAL Robotics’ and/or SciRoc website by February 18th. Applicants will have to register starting January 2019 to the 1st SciRoc Challenge. The robots will be shipped starting at February 2019 once the contract between the awarded team and PAL is arranged. Teams are encouraged to participate in the tournaments of the European Robotics League Consumer that will be announced here. These tournaments will be very useful for preparation of the SciRoc Challenge. Participation at the Challenge is between September 16th to September 22nd, 2019. Teams with awarded TIAGo robots will have to participate in a minimum of 2 episodes. 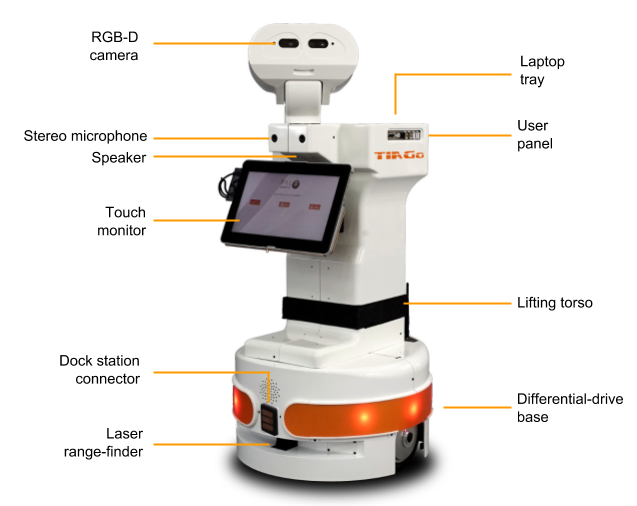 TIAGo, which stands by Take It And Go, is PAL Robotics’ mobile manipulator highly customizable, modular and expandable. 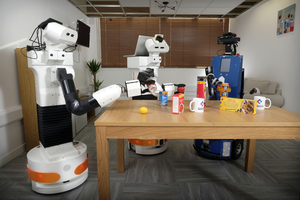 The robot has demonstrated its robustness and reliability in different research areas like healthcare and collaborative industry and in several international competitions like the Robocup@Home, the ERL-SR, the WRS and the MMH. 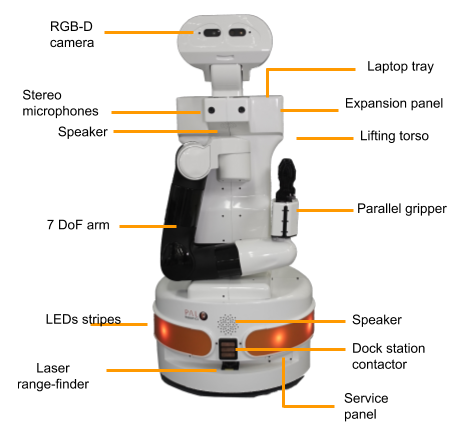 The robot is a versatile platform providing navigation, manipulation, perception and Human Robot Interaction capabilities. TIAGo is 100% ROS based and has a public simulation model along with a comprehensive list of tutorials. Each selected team will sign a TIAGo rental contract of maximum 12 months with the option to terminate it right after the 1st SciRoc challenge. The monthly rental fee for the robots will be €700 for TIAGo Steel and €600 for TIAGo Iron, excluding taxes or duties. Each contracted team undertakes full responsibility to return the robot in good condition by the end of 2019, or upon the request of PAL Robotics. This includes a commitment to cover the costs of any damage or repairs, up to the full replacement cost following complete loss of the equipment. Each contracted team must therefore take out their own damage and loss insurance or self-insurance for the robot and associated equipment. 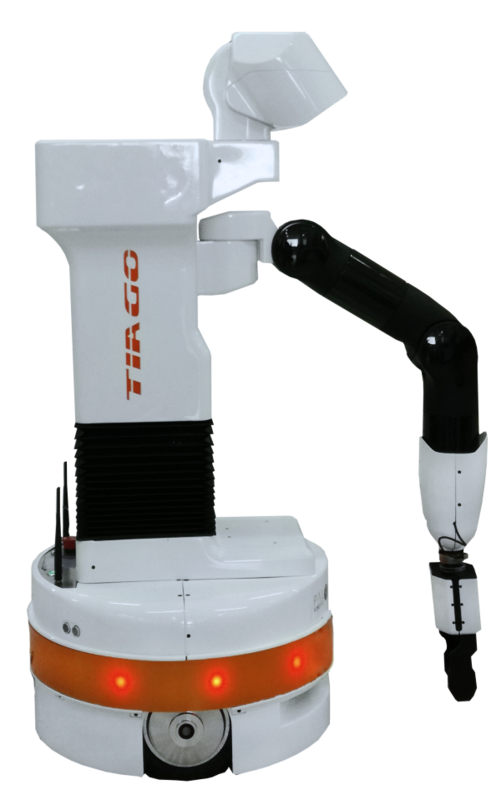 The cost of the TIAGo Steel robot with sensors/actuators and electronics is €49.900,00. The cost of the TIAGo Iron is €30.950,00. 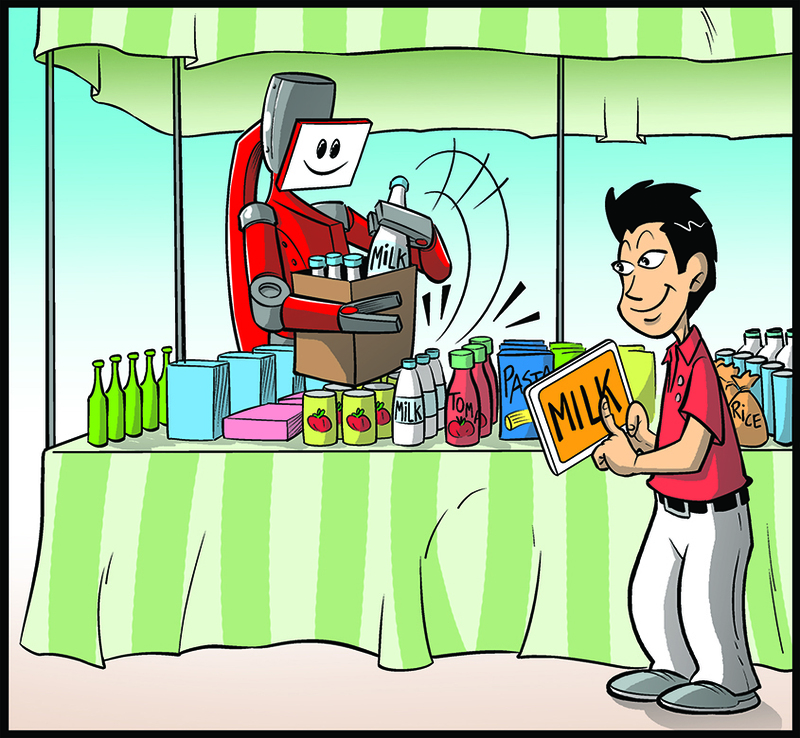 If a team wishes to purchase its rented robot, the paid rental payments will be deducted from the purchase price. In case that the purchase is done before the end of 2019 a 5% discount will be applied also to the cost of the robot. Each team must have previous experience in robotics and a minimum expertise in Robot Operating System (ROS) middleware. Each team must prove their potential in autonomous navigation and control. In order to ensure teams are able to use the robot, PAL Robotics may request that the teams demonstrate the robot’s basic functionalities at any time during the rental period. Failure to participate in at least two episodes of the 1st SciRoc Challenge will result in termination of the team’s rental agreement. Each team must use at all times TIAGo’s software security systems: time-outs, joint limits, etc. Modifying or disabling the security systems will lead to termination of the rental agreement and the return of the robot to PAL Robotics. All trials must be performed in safe, enclosed areas. If you have any doubts or questions, please contact the organization via the following email and we will be happy to answer your questions!